Llangar is one of the ancient parishes of Merioneth. It comprised the townships of Llangar, Cymmer and Gwnodl (which was separated from the rest of the parish by a section of the parish of Gwyddelwern). In 1854, this anomaly was corrected, when the townships of Cynwyd Fawr, Cynwyd Fechan and Bodheulog were transferred to Llangar from Gwyddelwern. 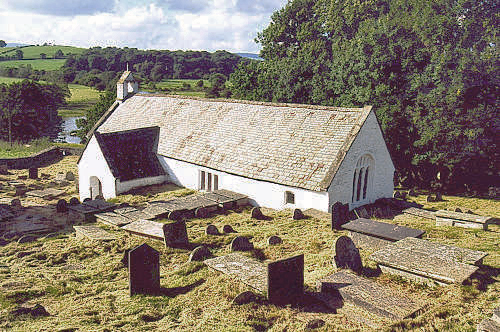 A new church of St. John the Evangelist, in the village of Cynwyd, was consecrated on 5 August 1856; and Llangar church was allowed to fall into disuse and disrepair. However, during recent years, it has been restored, and may be visited by arrangement between April and September. See the CADW website for further details. For family history information about the churches and parish, visit the GenUKI Llangar page.